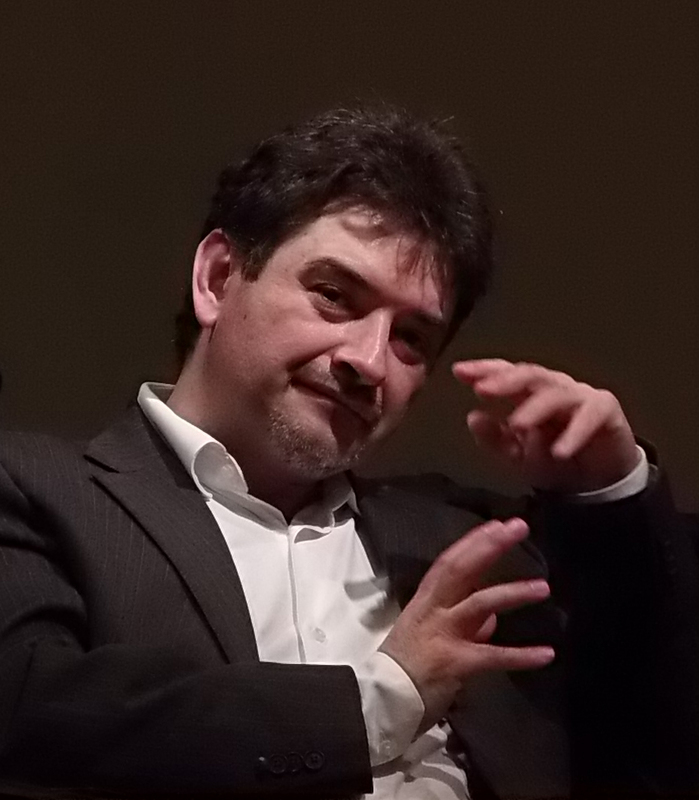 Javier Torres Maldonado (Mexico, 1968) is a composer and professor who combines both functions in a very high-profile career. Author of more than fifty works written for many of the best interpreters of the contemporary repertoire, he has received four consecutive times the „Commande d’État“ (French Ministry of Culture); several of his works have deserved prestigious awards including Queen Elisabeth (Brussels, 2005) , Mozart (Mozarteum, 1997 and 2000), Biennial of Brandenburg (2012), Queen Maria José (2000, Geneva), GRAME (2006, Lyon), A. Casella (2001, Siena), Ad Referendum II (1999, Montreal) , Prix des musiciens (1999, Nouvel Ensemble Moderne). He was the composer nominated to the „Manuel de Falla“ Professorship in Composition (Seville, 2015), in 2016 he was composer in residence at the National Center of the Arts (Mexico City, project: „un lume per lo mar…“, for Jake Arditti and the Arditti Quartet), in 2017 the Ensemble Klangforum of Vienna and the E. von Siemens Foundation commissioned him “Móvil, cambiante”, for 14 moving players. He is Tenure Professor of electroacoustic composition at the Conservatory of Parma and develop an incessant activity as invited professor, teaching composition masterclasses and seminars in prestigious European and North American institutions. He studied composition at the National Conservatory of Mexico City and with S. Gorli and A. Solbiati at the Milan Conservatory, he did postgraduate studies with F. Donatoni and A. Corghi. (Santa Cecilia Academy of Rome) and I. Fedele (honorific mention, Conservatoire of Strasburg.) He studied electronic music at the Milan Conservatory and at IRCAM (Paris). He is currently working on a new piece commissioned by the Mozarteum in Salzburg to commemorate the 60th anniversary of its Electronic Music Studio. Publishers: Edizioni Suvini Zerboni (Milan) and Universal Edition (Vienna).